Countywide registration of Idaho birth records and death records was required in 1907; prior records were kept by churches, midwives, physicians, and mortuaries and are quite fragmentary. In 1907, midwives and physicians were mandated to record births, and clergymen, coroners, physicians, and undertakers were mandated to record deaths, with reporting made to the county recorder. Statewide registration was enacted in July 1911, with reporting to the Office of Vital Statistics. 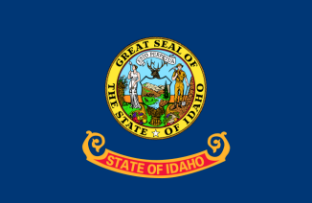 There is a strict confidentiality policy for Idaho vital records: Idaho birth records are legally confidential for 100 years, and Idaho death records are legally confidential for 50 years. For birth or death records from 1907-1911, the County Recorder in the county where the event occurred must be contacted, while for records beginning in July 1911, the Bureau of Vital Records and Health Statistics can supply either a computer-generated or photo-static copy. Record Access Requirements: Records are confidential for 100 years. Only immediate family or legal representative may receive records as well as those who have a notarized release from persons of record or an immediate family member. Search Note: Also include a copy of a photo ID and sign the request. Record Access Requirements: Records are confidential for 50 years and are available only to immediate family members or legal representatives or a person who has a notarized release from persons of record or an immediate family member.